I am getting memory issue while configuring Talend_6.2-BigData_Sandbox_2.2-vmware-win-dlm using VirtualBox-5.1.14-112924-Win. I am getting this error while talend trying to configure Cassandra. Please help to resolve this issue. I can tell by your configuration that you do not have enough available memory to run the sandbox. 8GB is the bare minimum and based on your screenshots, you don't have 8GB available. I can also see that you have some large memory applications running while also trying to run the sandbox (like Chrome and Outlook). Please try to shut down as many apps as possible and even check for any unnecessary services that may be running and shut them down as well. If at all possible, I would recommend securing more RAM or finding a PC that has more RAM available. 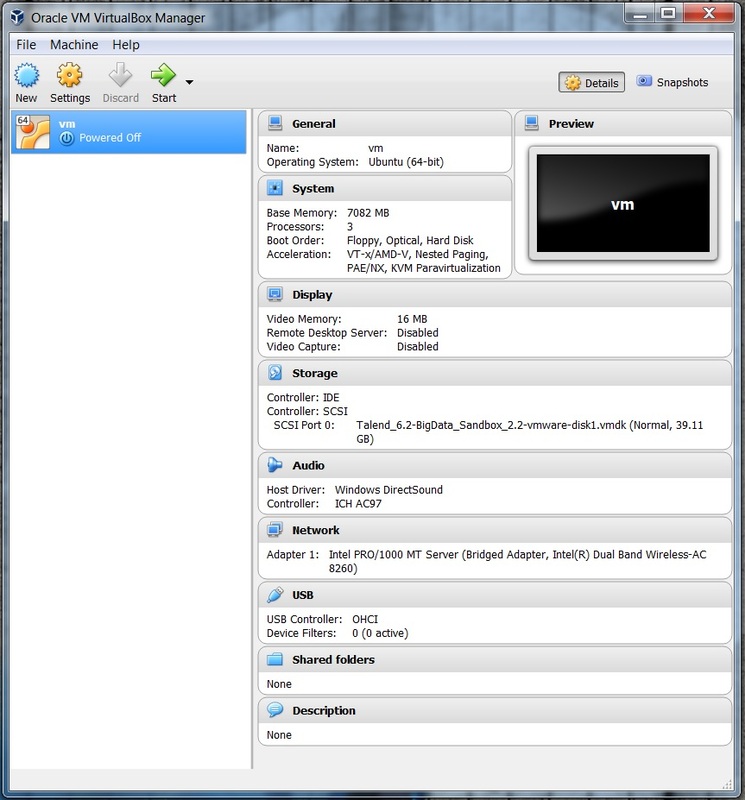 Even if you are able to get the sandbox to boot with the 8GB minimum, it will be very slow as the VM will be swapping memory to allow the necessary applications and services to run within the sandbox. 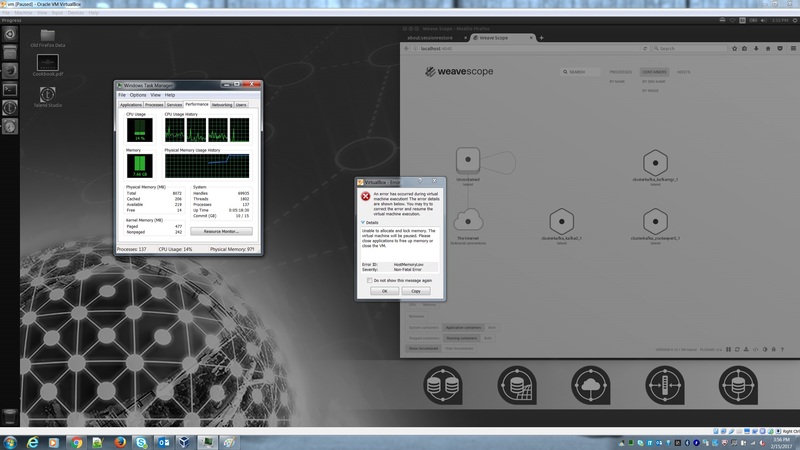 If you can get at least 10GB available RAM to the sandbox your experience will be much better. 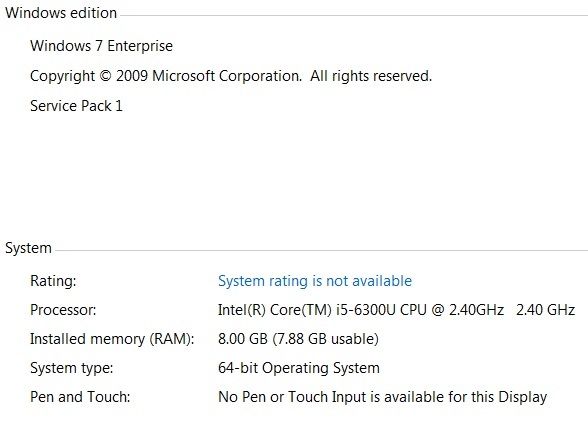 But as per your configuration requirement, 8GB is recommended requirement (PFA) and it is not able to install / configure sandbox with 7.66 GB of RAM. To run Talend sandbox, you are recommended 10 GB RAM and with Windows or other OS we need 2 GB RAM. Total would be 12 GB. 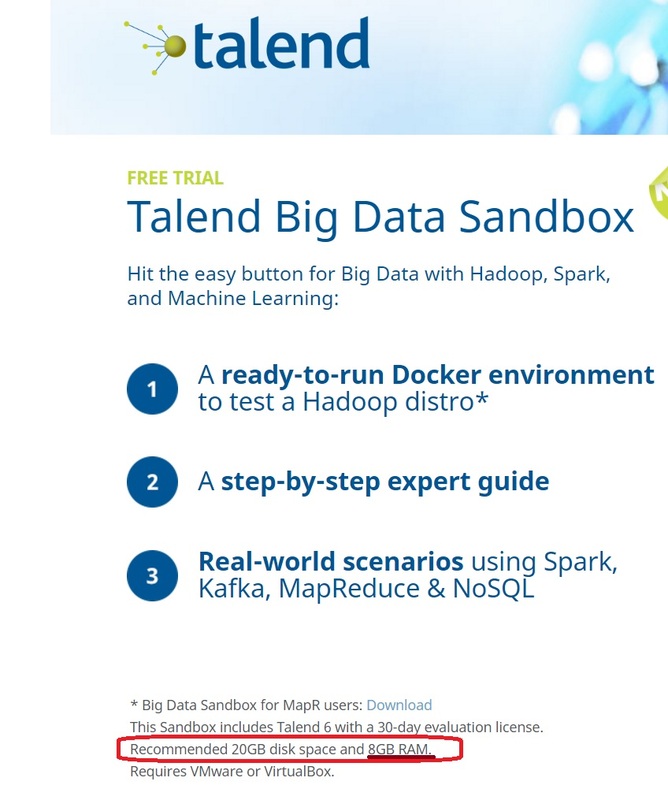 Do you think, any one would go for Talend sandbox trial version? If possible, make installation optional. Mean to say let the user install their big data component based on their need rather configuring at one go.